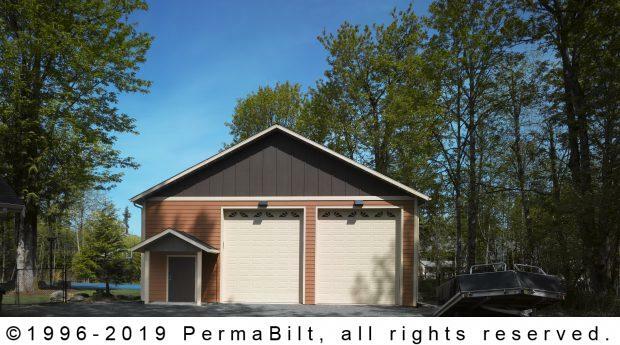 Our customer from Covington called wanting to construct a garage to house his RV and other toys that would complement the look and feel of his residence. 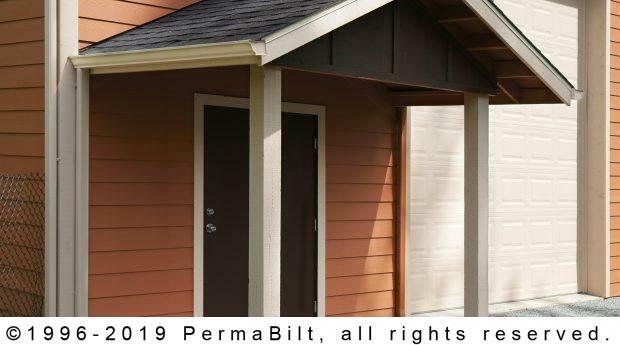 We met with the customer a few times prior to finalizing all the details to make sure the design and function was what he was after. 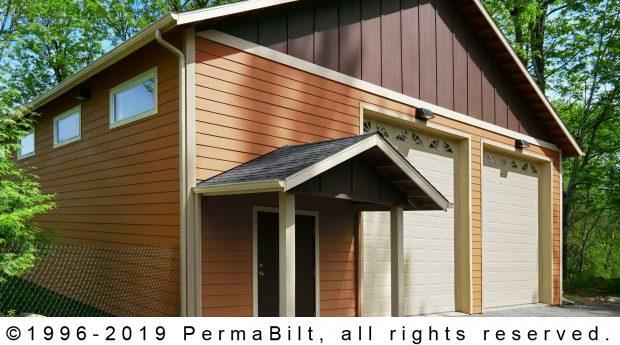 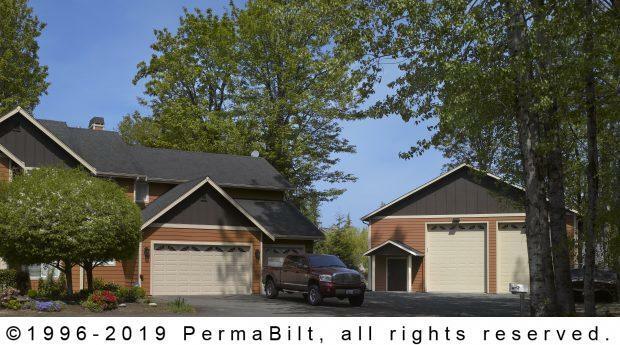 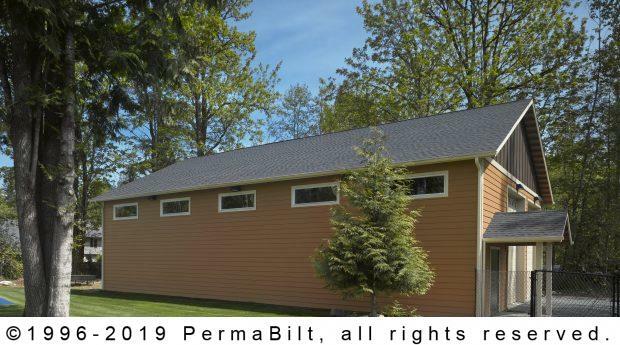 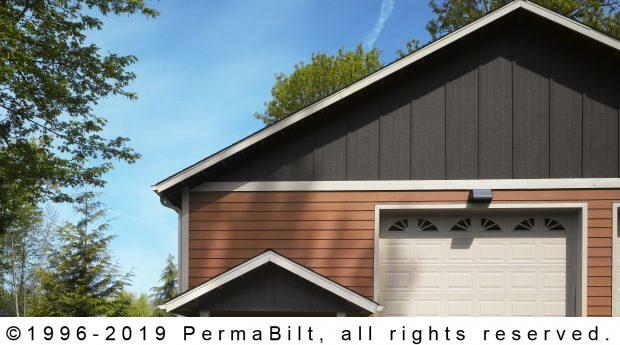 The specific design elements he was after included Hardi siding to match his house, a PermaBilt® porch cover for weather protection and architectural interest on the front of the building, and some high windows on the sidewall for natural light. 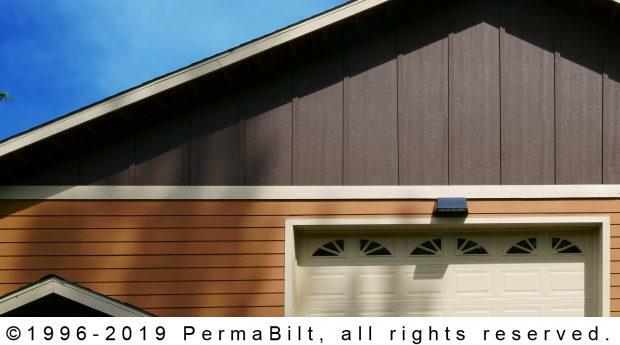 In the end, the garage looks like it was built with the house and fits on the property seamlessly.